Kendrick Place is a five story, 58,500 SF mixed use building in downtown Amherst. Using a 4-over-1 approach, four stories of wood construction (Type 5A) are built above a single story steel framed podium (Type 1A). A mix of studio, single, three and four bedroom units result in 36 apartments with a total of 104 beds. Located ½ mile from campus, this building is also tailored for the college town market. This is an urban building designed in accordance with the City’s initiative to maintain a vibrant downtown. 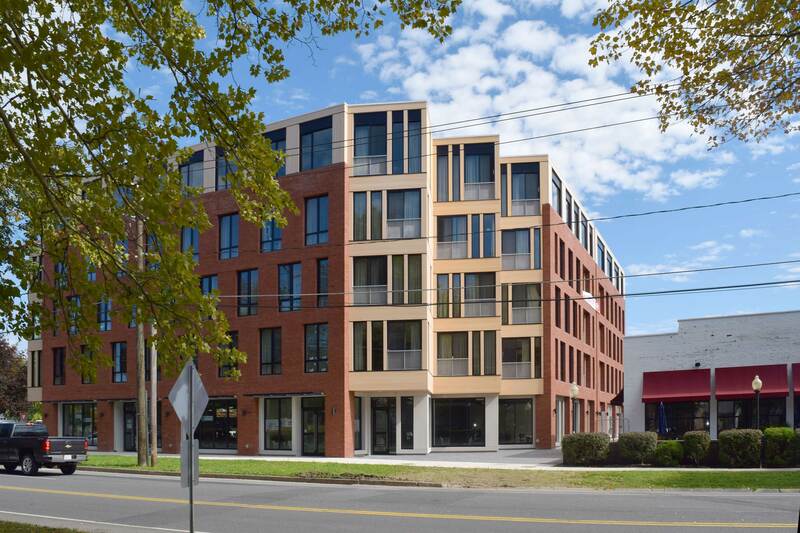 The first floor retail and materials blend this building in color and activity with the existing commercial buildings along East Pleasant Street. The ground floor includes the residential lobby, café, retail spaces, and parking for a car share program. 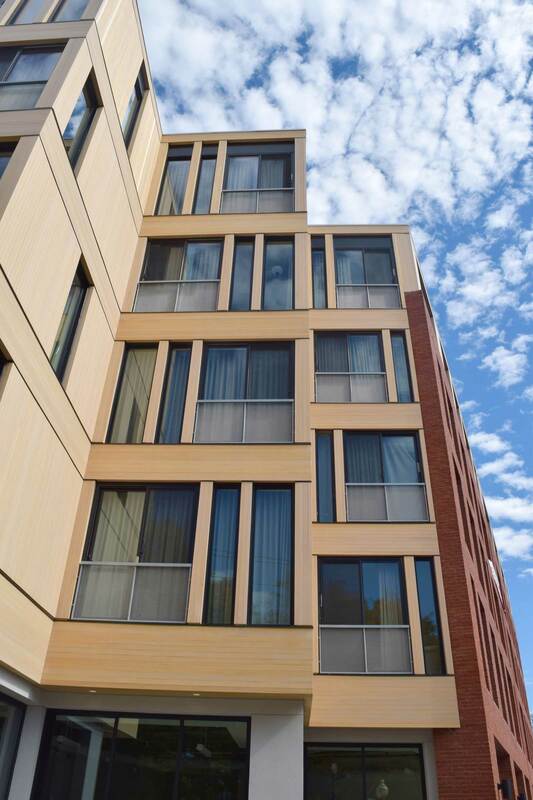 The building is clad in locally sourced red brick and Atlantic white cedar and is anticipated to earn Gold certification under the LEED for Homes Multi-family Mid-rise Program. Kendrick Place was completed with Holst Architecture of Portland, OR.